How I am supposed to download the File I have already created or, since I have published it, how can people, including myself, have access to it? Third link above the sidebar. 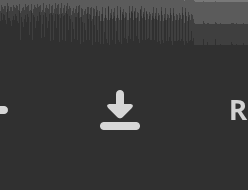 There is a big download button on your track profile page.